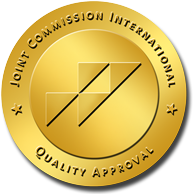 ECMO is an advanced life-support system for patients with failing heart and lungs. The system acts as an artificial heart or lung during therapy allowing the patient’s organs to rest while natural healing of the affected area takes place. The ECMO technique involves channeling the patient’s blood into a roller pump that serves as the patient’s “heart” throughout treatment. The machine is connected to the patient through plastic tubes (cannula) placed in large veins and arteries in the legs, neck or chest. The pump sends the blood through an oxygenator, which serves as an artificial lung, infusing the blood with oxygen and removing carbon dioxide and returning it to the patient. During this treatment, the patient’s heart continues to beat, but its work is made easier because the machine does much of the pumping. Throughout ECMO, the patient is at the center of a highly coordinated team of medical experts and receives around-the-clock care. 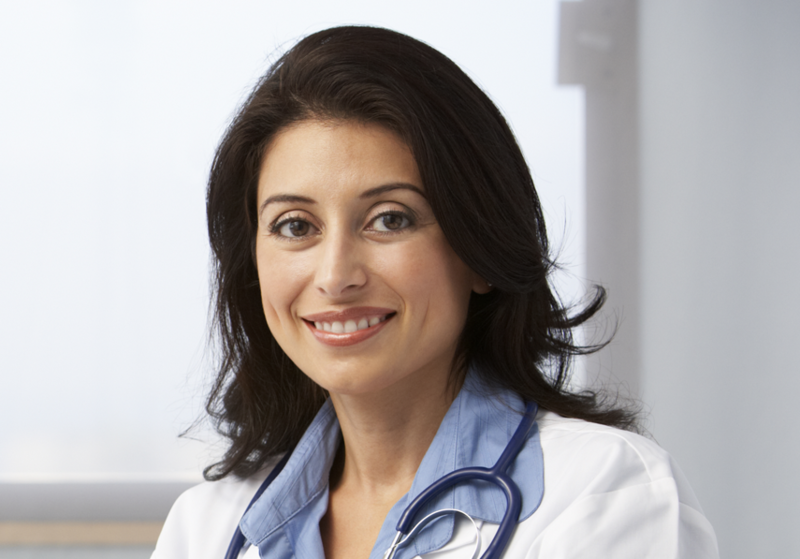 The length of time a patient remains on therapy depends on the diagnosis and the patient’s individual response. Some diseases or injuries recover quickly, and patients only need ECMO for a few hours. Other conditions may take longer to get better, in which case the patient may need support for several days to weeks. Our very experienced team of doctors, perfusion scientists and nurses have managed many patients on ECMO and saved their lives. The hospital has two ECMO machines, one of them being the most advanced. CARDIOHELP- which, being very small and compact, can be carried by hand and is used to transport patients via road or by air. 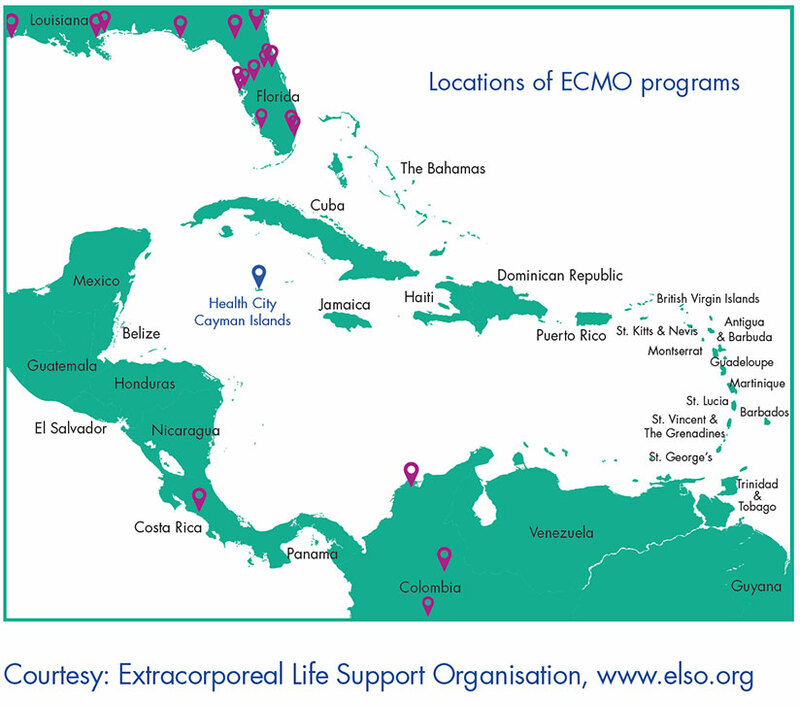 The ECMO team at Health City Cayman Islands is capable of transporting patients on ECMO by air after instituting ECMO at any location. 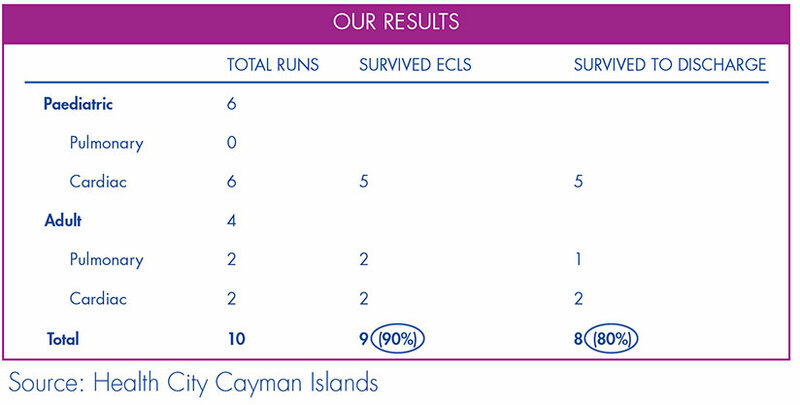 During the last two and half years, Health City has supported ten patients with ECMO, six children and four adults. Eight had cardiac failure and two had respiratory failure. 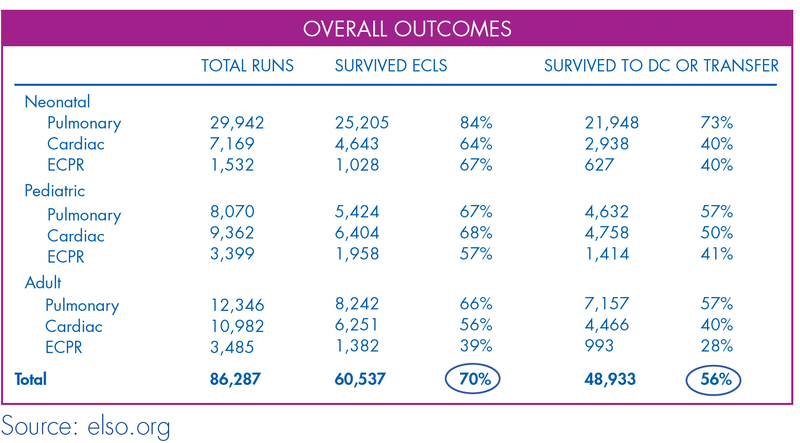 Out of the ten patients, nine patients could be weaned off from ECMO (90%) and eight of them were discharged home without any disability (80%).These results are far better than the global average result published by the ELSO (Extracorporeal Life Support Organisation) registry. 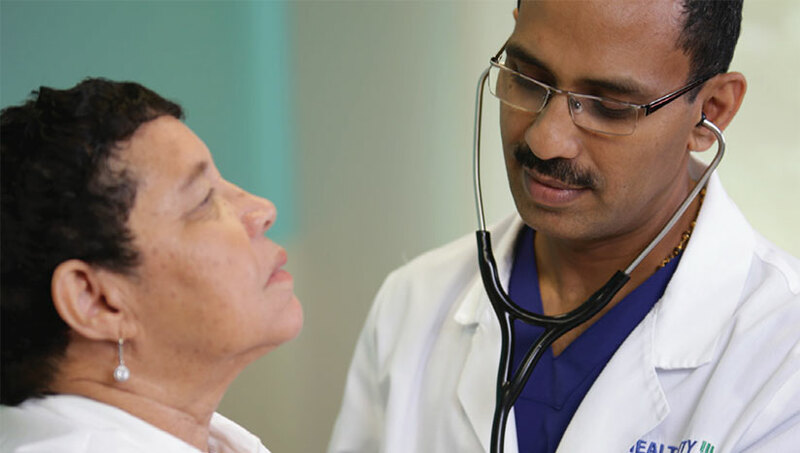 Health City is proud to offer this highly specialized service to critical patients in Latin America and the Caribbean at an affordable rate. 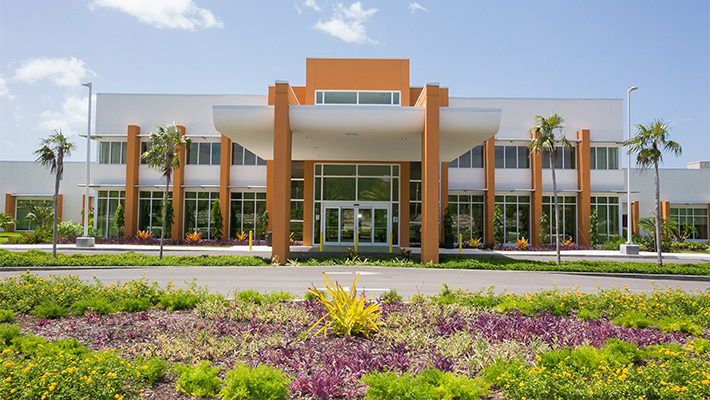 Call us today at 1 (345) 640-4040, or fill out our simple contact form, to receive personalized information on how we can best serve your healthcare needs.